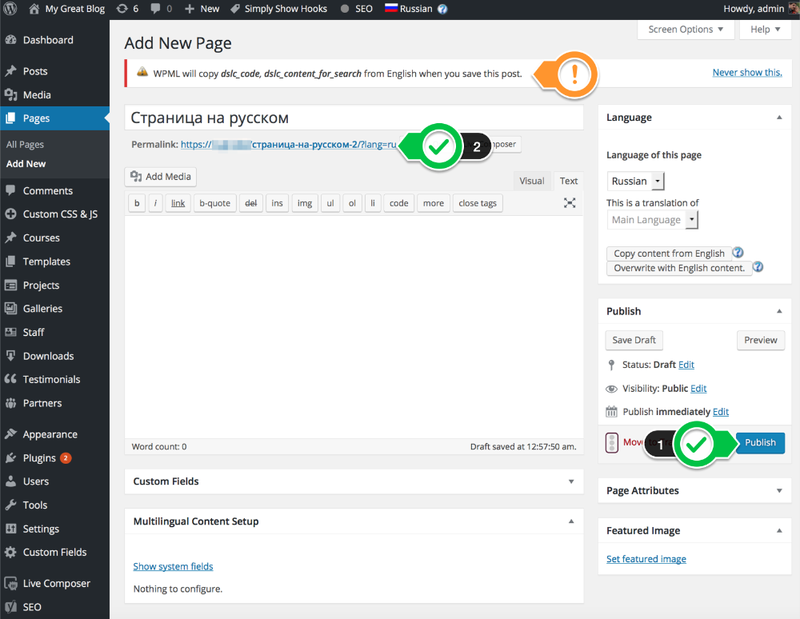 It's easy to create multilingual websites in our free visual page builder. 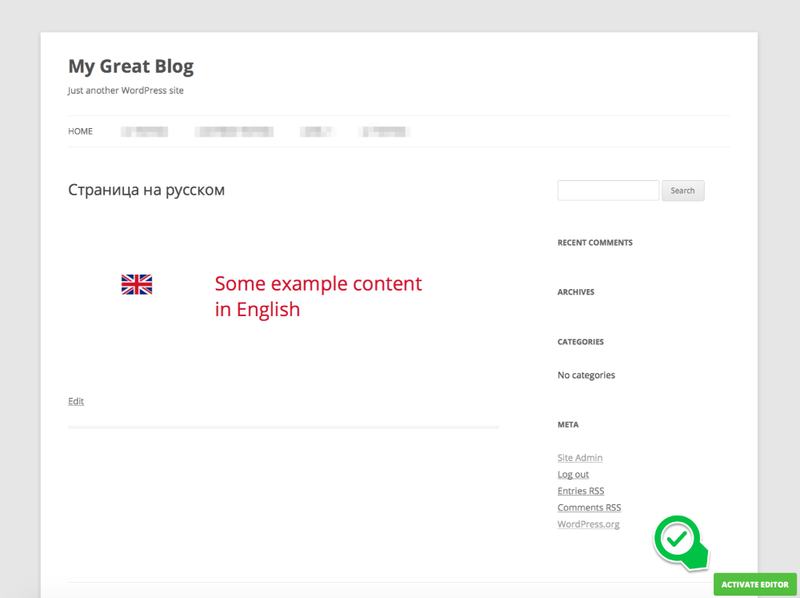 We recommend WPML ( The WordPress Multilingual Plugin ) plugin for that purpose. WPML is de facto standard for creating multilingual websites in WordPress. 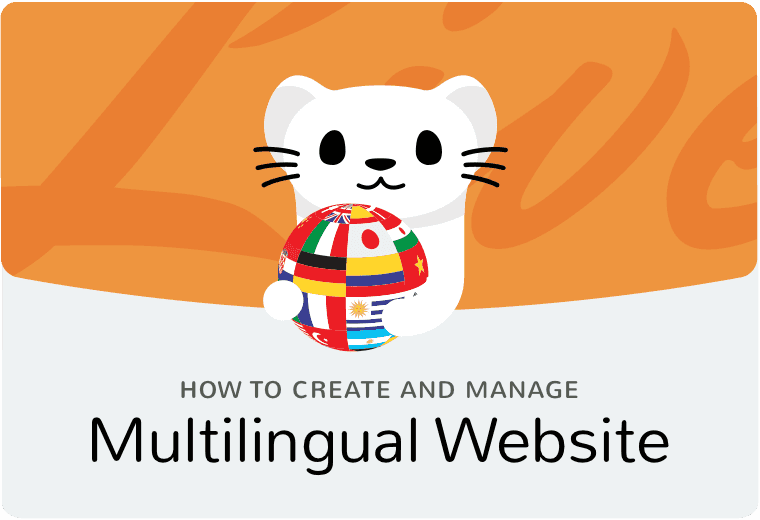 In this plugin, you can translate the website to another language or create a multi-language version. How to translate a page? 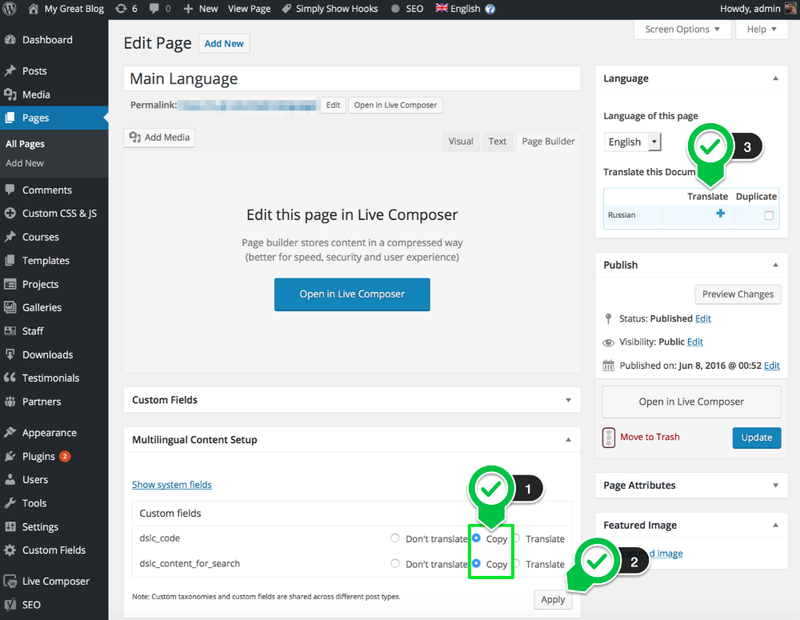 In WPML you create translated version of any piece of content (like page, post, menu item) via duplication. Fill it with your content. We will use a very basic structure: image + line of text. Here you should make sure WPML is copying custom fields for translation. Let's go and click on blue plus under "Translate" section to create a copy or the page for translation. WPML should notify you about copying dslc_code and dslc_content_for_search fields. 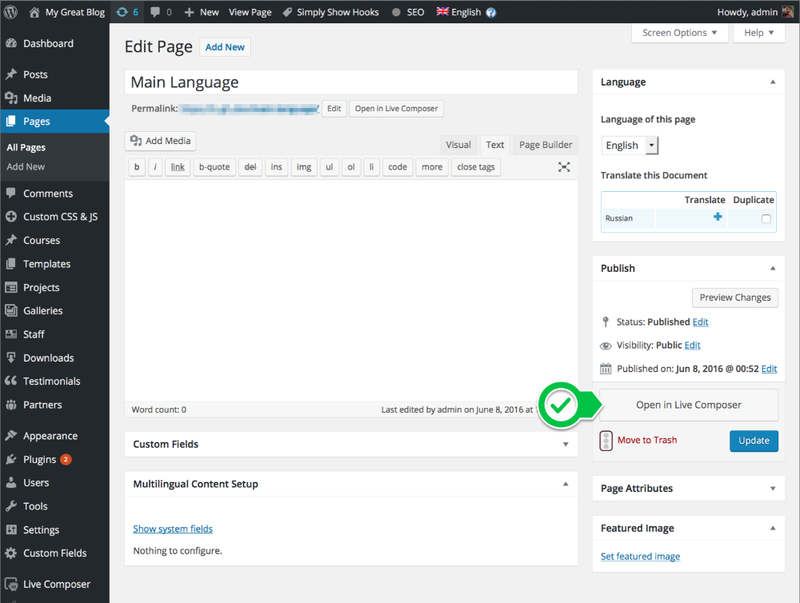 Publish this page and open it for editing by clicking on the permalink text. As you can see our page still has all the content in primary language. Don't worry you will translate it in a minute via Live Composer. Go ahead and translate all the content and replace images if needed. Just edit the text and images in Live Composer. You can have different layouts and designs for translated pages. In this example I change the flag, translate text and adjust text color. After new translated page published, you should have two linked versions of the same page in different languages. In the future, we will add more details on how to translate header, footer, menu and custom posts on your website. The process is simple and follows the example above.